IN YOUR PREMISES AND COMMUNITY. a secure & safe environment by collaboratively managing people of interest. WITH OTHER LOCAL BUSINESSES IN YOUR AREA. YOUR DATA, SAFE AND SECURE. 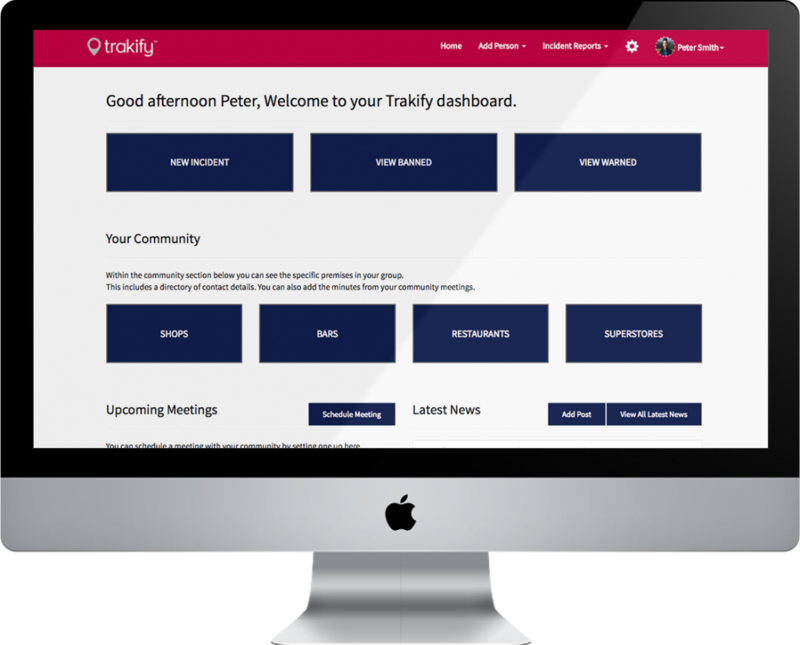 Trakify is an all-in-one cloud based platform that helps Pubs, Shops and Bars manage people of interest in your premises and within your community. Hundreds of Pubs, Restaurants, Shopping Centres and Nightclubs trust Trakify. Trakify is a service of Damteq Solutions Ltd which is a company registered in England with company number 08398365. © 2016 Damteq Solutions Ltd. All Rights Reserved.